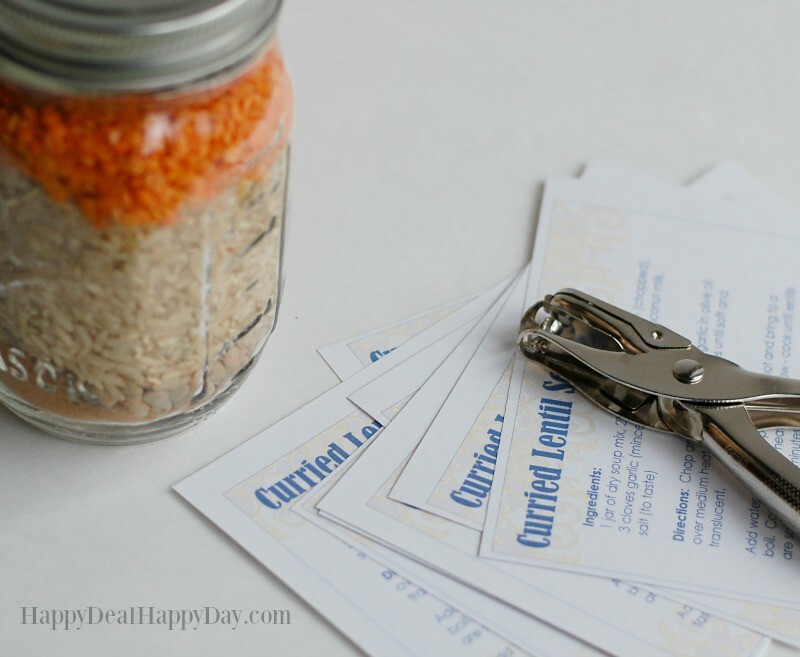 Mason Jar Gift Ideas: Curried Lentil Soup Mix With Free Printable Recipe Card | Happy Deal - Happy Day! 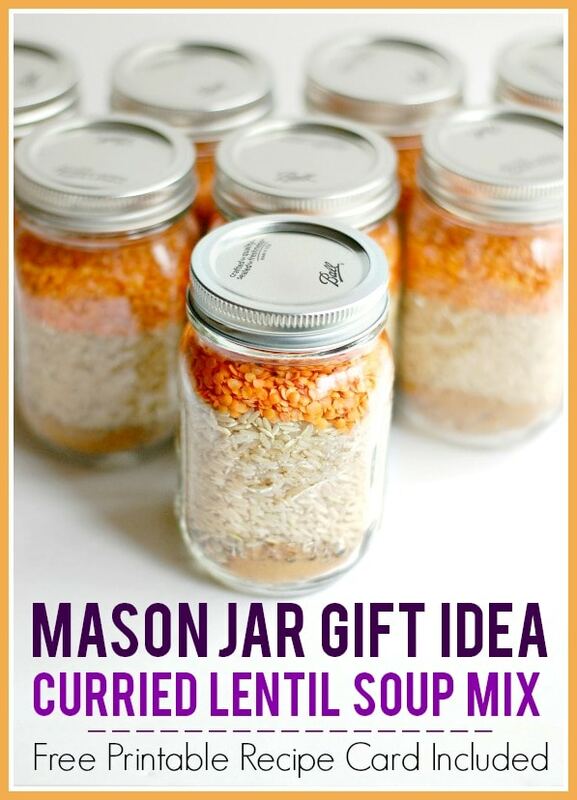 If you are looking for a great mason jar gift idea this holiday season, then I have one for you! 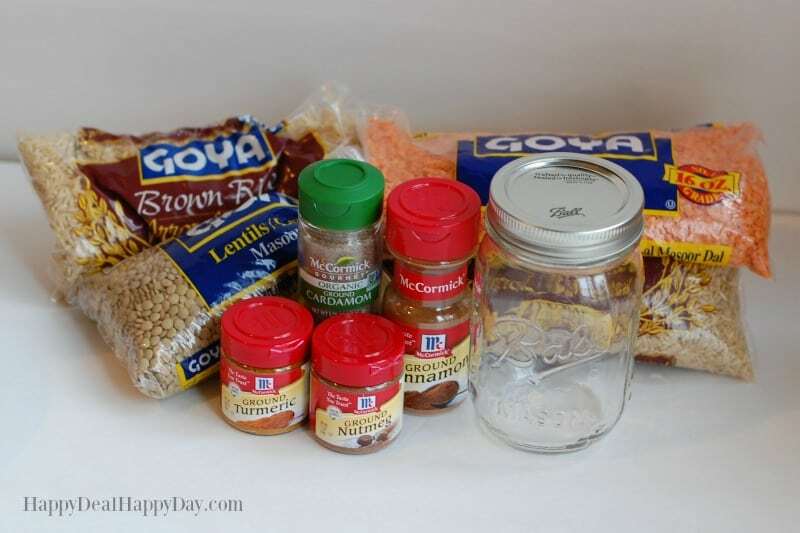 For this one, you need just a few dry ingredients to make a Curried Lentil Soup Mix, a mason jar, and the printed recipe card that I have already made for you! I used these one year as Christmas gifts to fellow moms in my Mother’s of Preschoolers group. These would also make wonderful teacher and neighbor gifts as well! 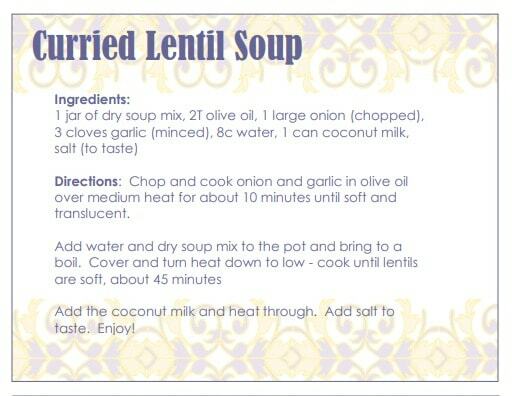 Curried Lentil Soup Mix Recipe Card – fill out the form below to get yours sent to your inbox! 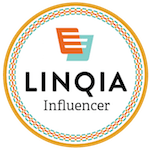 Subscribe to my weekly newsletter and you'll get your free printable recipe card right in your inbox! Success! Now check your email to confirm your subscription and get your free printable recipe cards! 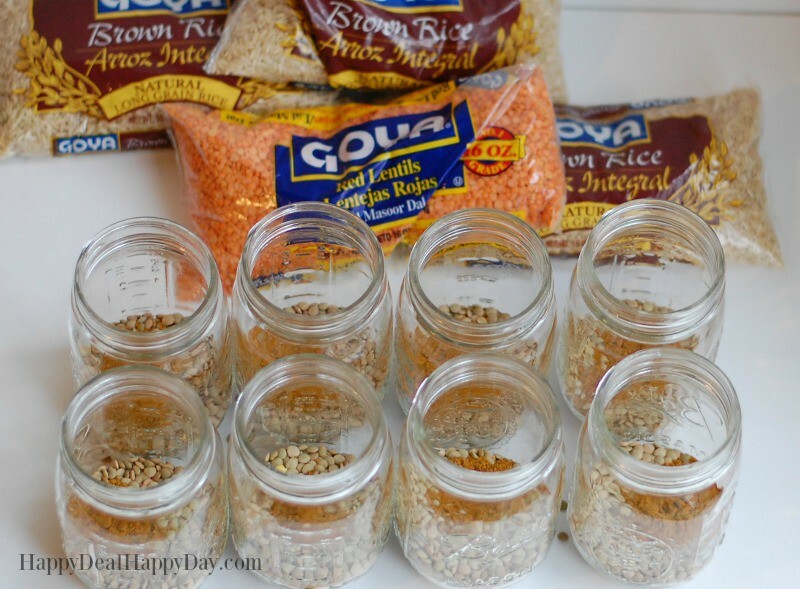 Take your clean and empty jars and start by filling them with 1/2 cup of green lentils. 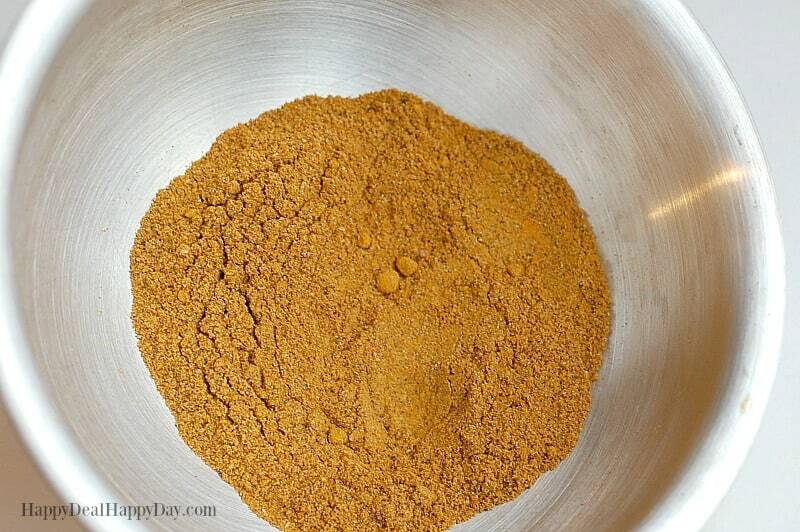 Then add 1 3/4 tsp of the spice mix. 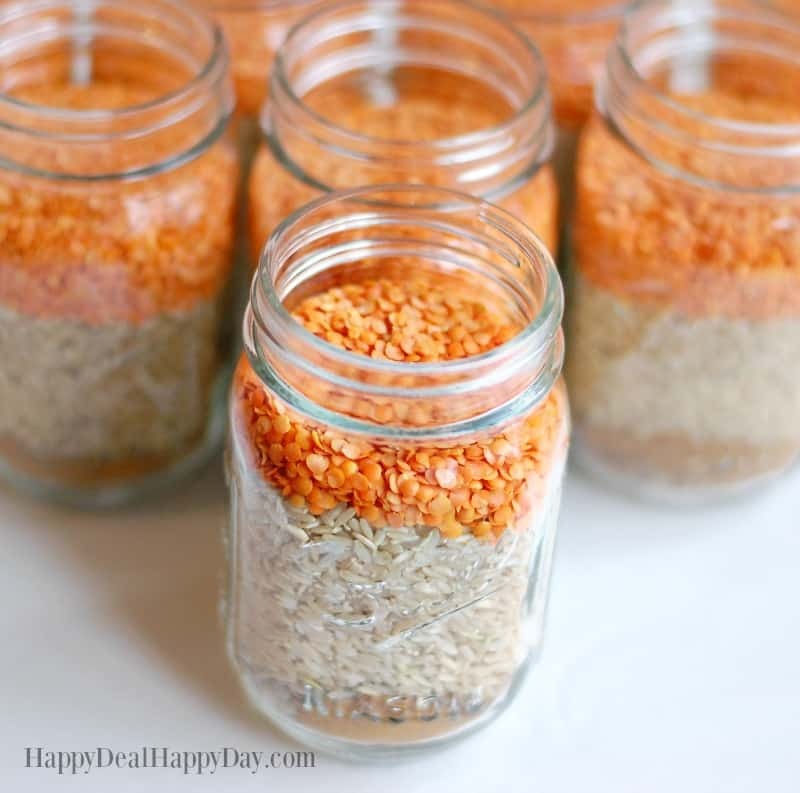 Add a cup of rice and top off with 1/3 cup of red lentils. Go ahead and cap your jar. 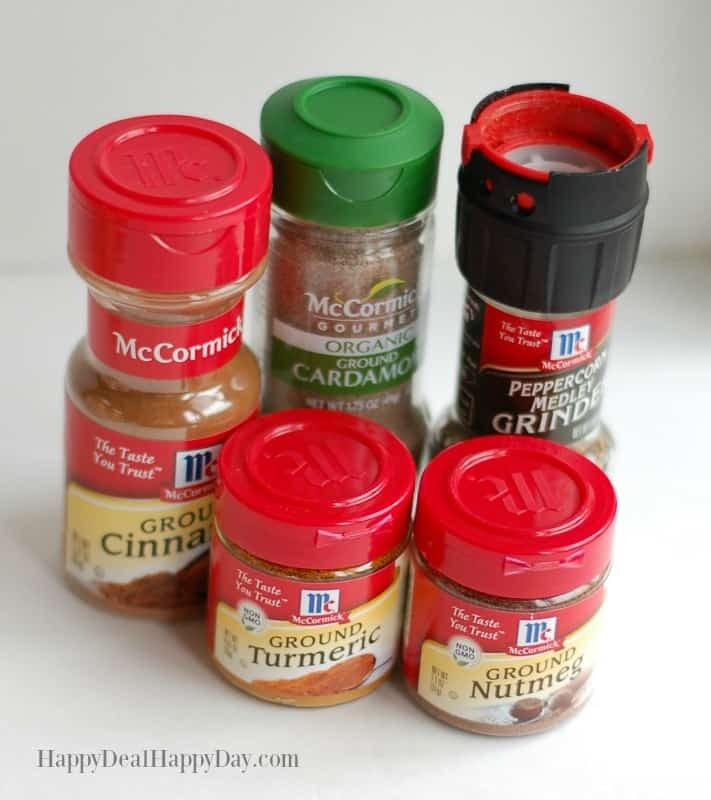 Grap a hole punch and punch your recipe card. 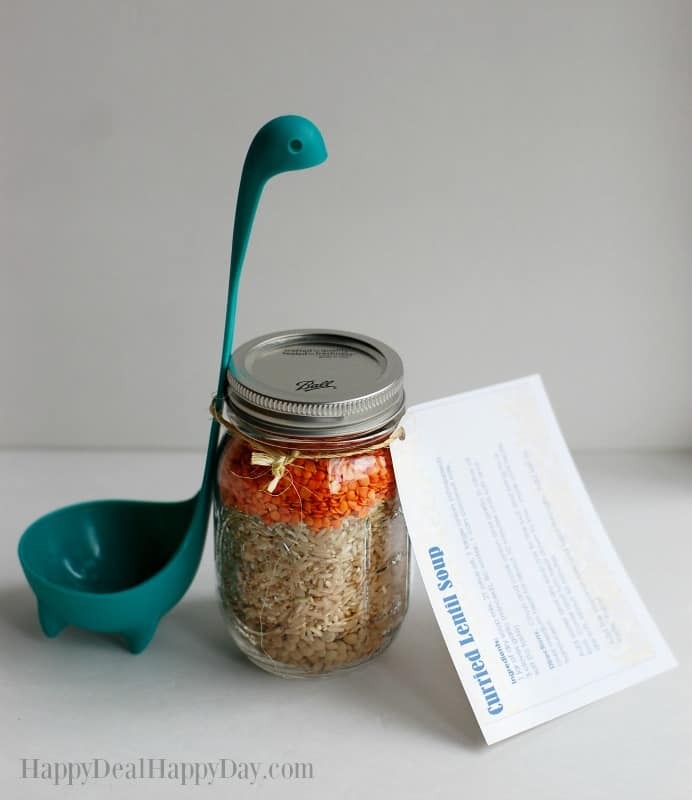 I think these Nessy Ladles are just adorable, so I attached one of these as well to each soup mix. Your friends will have to get a few more ingredients to complete the soup – onion, garlic, coconut milk and water. When you try the recipe, come back and let me know what you think!! 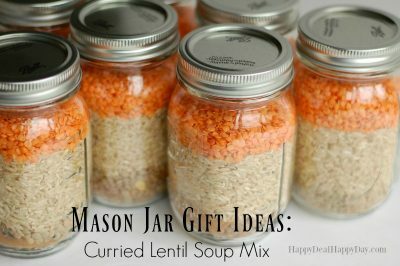 Have other mason jar gift ideas? Share them with us in the comments! DIY Peppermint & Lavender Foot Lotion – Free Tag Printable PDF! EASY Lavender Homemade Soap Recipe | Great Gift Idea! Unique Christmas Gift Ideas: Poinsettias With Money Origami Flower! Good Evening Maura, I noticed your curried Lentil Soup Mix when I was visiting the Lou Lou Girls and I just had to pop over and say hello. This is such a wonderful gift to give someone and with the nights getting darker and colder, what could be better than curried lentil soup. This is a really thoughtful gift. Looks yummy, and what a great gift! These look like a great recipe even for me! My question is what is the actual recipe? What do you tell the recipients to do when they want to make the soup? I’m missing the cards your attaching to the jars.